So this week I reached out to some of my food blogger friends to ask them to share their favorite ways to get more vegetables in during the winter months and they all shared salad recipes! Yes, I know. Salads can be tough at this time of year because we are feeling cold and the greens aren’t quite as plentiful or flavorful. But winter salads can turn it all around because they incorporate some of the best seasonal produce (root vegetables, citrus), warming cooking techniques (roasting, baking), and rich additions (cheese, bacon, etc.) to create delicious, nourishing salads that will absolutely satisfy you! 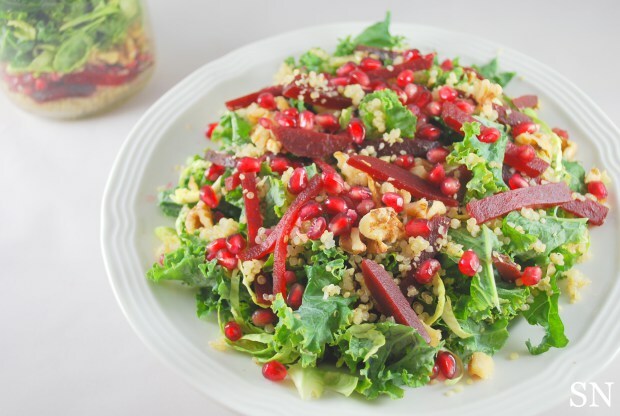 Winter Kale Salad This salad from Sincerely Nourished has got it all! Some sweet, some savory, some crunch, and texture. 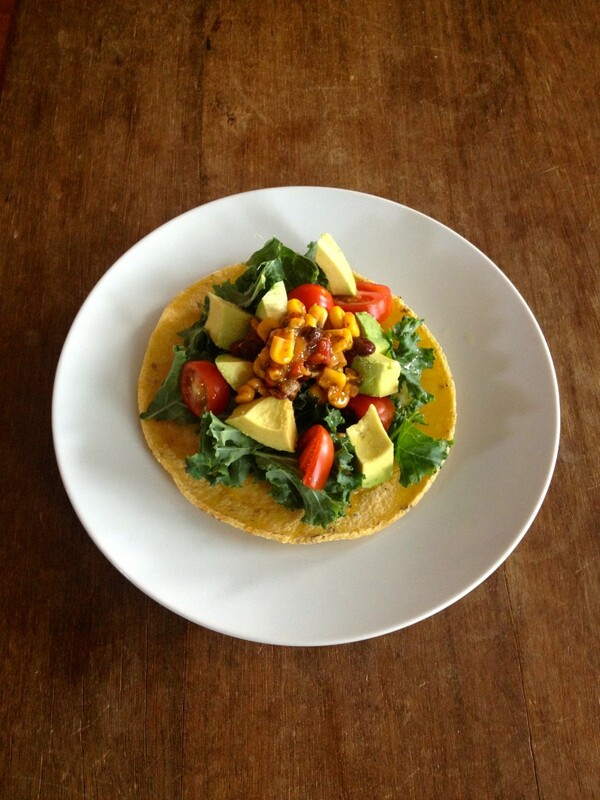 Tostada Salad. This is my lunch almost every day! I love how flexible it is–leftover roasted vegetables, whatever greens I have on hand, some cheese, and some avocado and I am set! 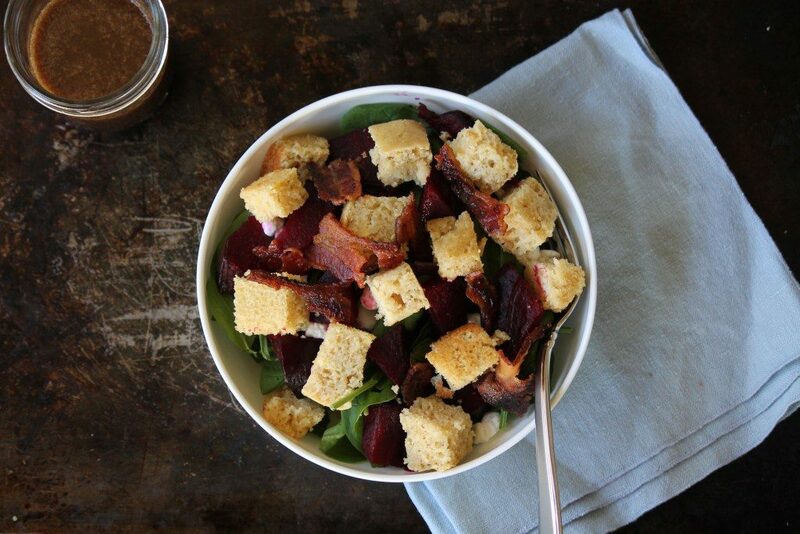 Cornbread Panzanella Salad with Roasted Beets from Key Ingredients is a salad that is a special meal in and of itself! I love the different textures and flavors she’s come up with here and a little something to make everyone happy (if you’re vegetarian, veggie bacon would be great here)! 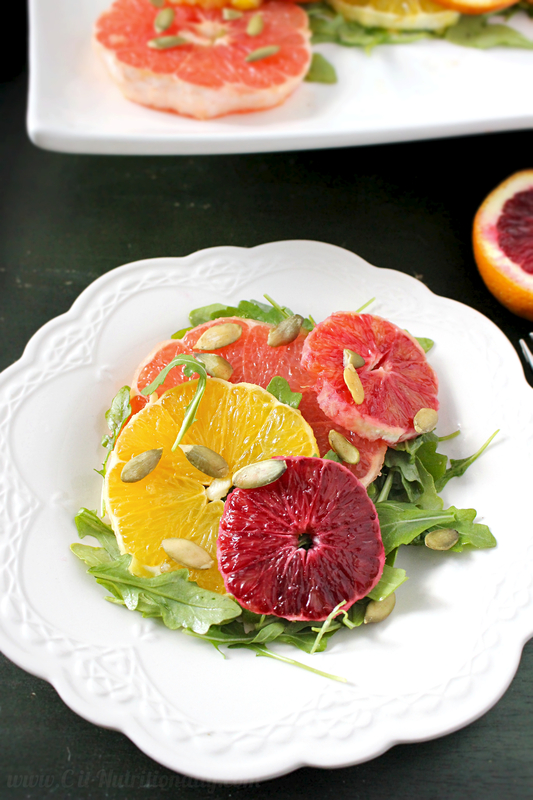 Winter Citrus and Arugula Salad if the colors from this cheerful salad from C it Nutritionally don’t brighten your day, then we need to talk! This salad’s got protein, vitamin C for days, and arugula to pack a punch. Yum! 7 Ingredient Roasted Beet Salad Kroll’s Korner packs in the seasonal goodness with this awesome salad! 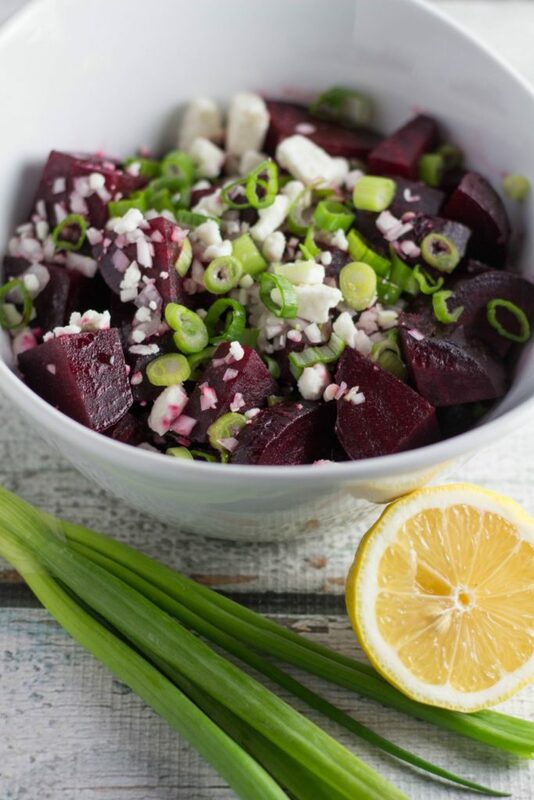 I love how she has the sweet with the beets and the creamy-salty with the feta and then brings those flavors to life with lemon… perfection. 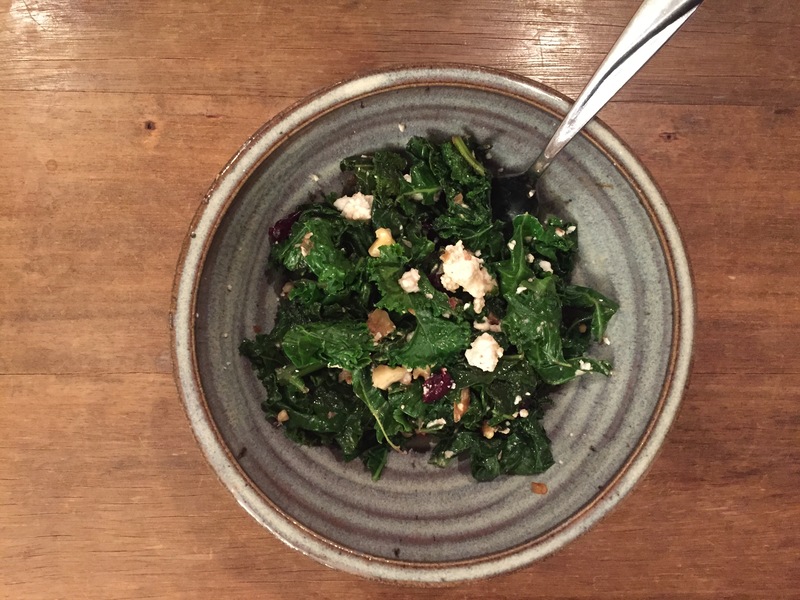 Wilted Kale Salad is one of my go-tos when I am craving greens but need the warmth. This takes almost no time to throw together and is packed with satisfying bits of flavor with the feta, walnuts, and cranberries thrown in. Which salad are you going to try first? 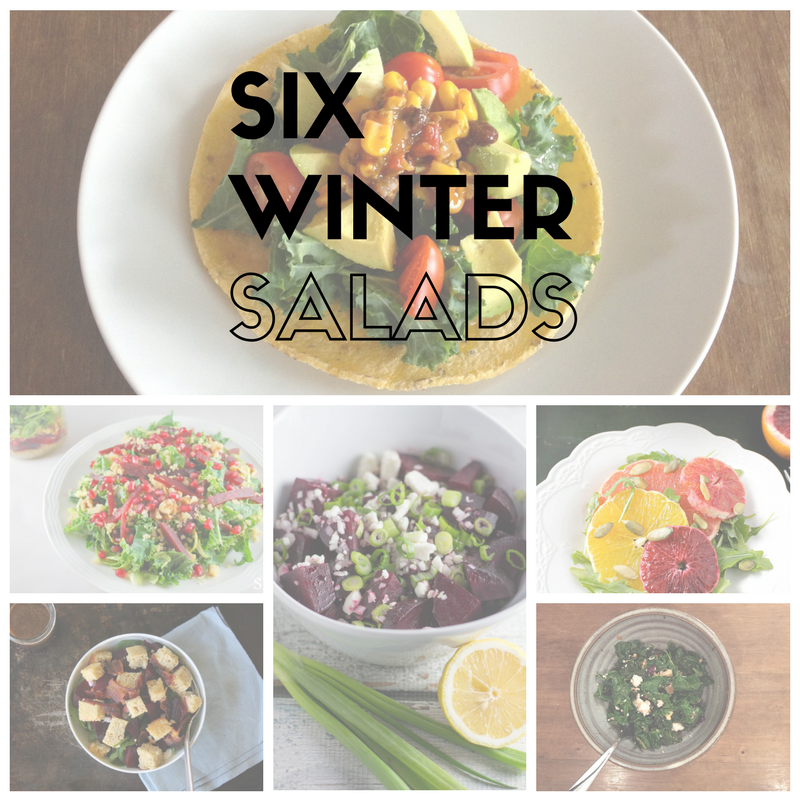 I’d love to hear about your favorite winter salad recipes, too! That citrus salad looks incredible!